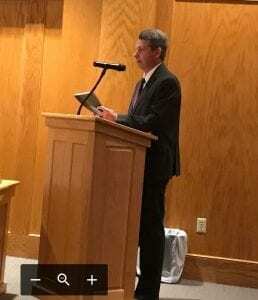 DAHLONEGA, Ga. – “The numbers look very good for the city.” That is how Chris Hollifield, of Rushton and Company CPA, assessed the city of Dahlonega’s financial status at this week’s City Council meeting. In presenting the 2017 Comprehensive Annual Financial Report (CAFR), Hollifield said the city had earned the Certificate of Excellence from the Georgia Finance Officers Association (GFOA), something achieved by less than 30 percent of municipalities nationwide and only one percent of those in Georgia. 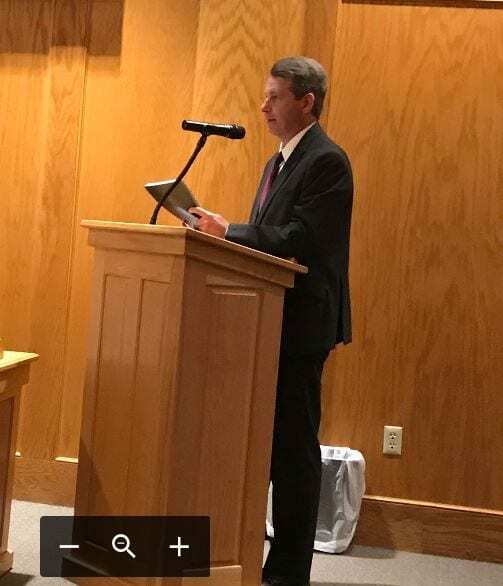 The city has a fund balance of $4.2 million, with about $2.6 million being unassigned, which represents approximately 10 months of reserves. CAFR is a set of U.S. government financial statements comprising the financial report of a state, municipal or other governmental entity that complies with the accounting requirements promulgated by the Governmental Accounting Standards Board (GASB). Amending the alcohol license fees for Class 1 wholesale wine sales. 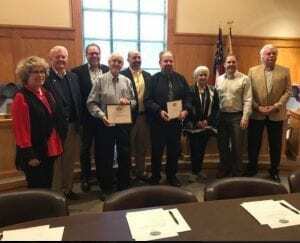 Council also awarded certificates to Ralph Prescott and Jimmy Anderson in recognition of their work with the Historic Preservation Commission. There was also a discussion about the need to make improvements to Wimpy Mill Park and to come up with an appropriate name. No decision was reached. Dahlonega City Council presents certificates to Ralph Prescott (center left) and Jimmy Anderson in recognition of their work for the Historic Preservation Commission.